Your PRE and POST workout meals are the meals you eat before and after working out. These meals are crucial and can help in improving your performance and results – To lose fat and build muscle, Increase strength and be healthy. So, what you eat before your workout act as a fuel or ‘energy’ for your body to maximize your performance during the workout session. What you eat after your workout is crucial to optimize muscle recovery process, which basically begins as soon as your workout ends. Never exercise on an empty stomach. Working out on an empty stomach is like trying to drive a car without gas. Your workout will suffer because you won’t have the energy to sustain it, or you’ll be too distracted by hunger to focus. Pre-Workout Snacks are also known as ‘energy phase’ because it plays the largest role in providing your body with maximum energy in order for you to workout at your 100% effort. 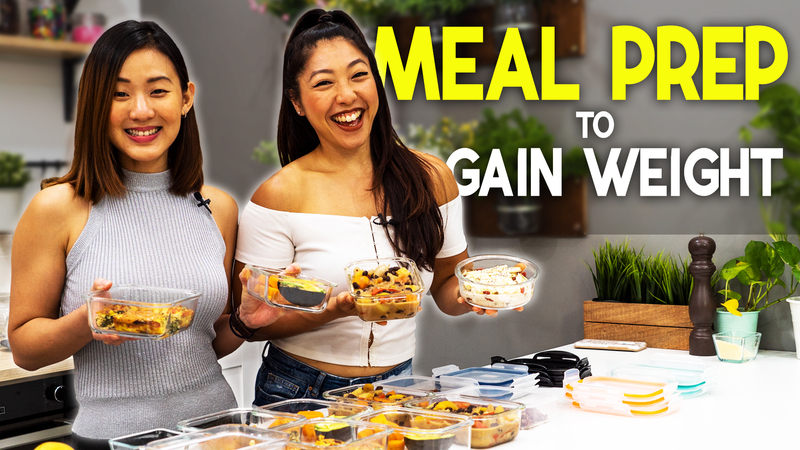 In order for this to happen, we want to fuel our body meals that are heavier on CARBS with a little bit of protein as they are the best source of energy and they digest easily. These Pre-workout snacks I’m sharing with you are small, light and suitable to be consumed 30-60 mins before your workout session. If you are planning for a bigger and heavier meal, have a balanced meal of carbs, protein and healthy fat and have it at least 3 hours before your workout session. Whole-wheat toast will provide you with complex carbs which are especially important for workout endurance and bananas are excellent source of carbs and perfect in raising potassium levels, which drop when you sweat a lot. Peanut butter is high in protein but is easy to digest. Yoghurt provides you with carbs and protein to keep you energized and the added fruits contain natural sugar for the extra energy boost. You can substitute this with another fruits. Fruitsation shake: Blend 1 scoop of your favorite whey protein flavor with ½ cup ice, and 1 cup frozen berries for a sweet energy boost. And having a liquid based meal makes it easy for your body to digest and the water content will keep you hydrated during your workout for a better performance. Adding a little bit of protein prior to your workout will also help to reduce muscle soreness. Oatmeal is a popular choice for long runs or long cardio as is provides energy throughout your workout by gradually releasing sugar into your bloodstream. You can choose to top your oatmeal up with Fruits, Peanut Butter, Whole Nuts, Egg or Cocoa Powder, just like what I have here. If you like something more substantial like me, try Egg on Toast. This is my regular breakfast and also mainly my pre-workout meal. One Whole-wheat toast with one hard-boiled egg sliced. If you want a quick snack, which you can grab on the move, try dried fruits and nuts. The healthy sugars from dried fruit will provide you with a quick energy boost while nuts will keep insulin levels from dropping mid-workout. Nuts are high in healthy fat, which means they do take longer to digest so if you consume too many and you could start feeling sluggish and slow as you sweat. So consume in moderation and one small handful is more than enough. Another quick fix pre-workout snack which I make often is my Peanut Butter Oatmeal energy bar. You can get the recipe from my “Full Vegan Meal Plan” video. This energy bar contains all natural ingredients needed for an excellent workout. Oatmeal, peanut butter and honey for workout endurance and a quick energy boost. Other easy, quick energy boost can include having most types of fruits, cottage cheese and fruits or low-sugar sports drink. Your POST workout meal is the first meal you eat after your workout and is also known as the ‘anabolic’ phase. Having the right Post-Workout meal will help with increasing muscle mass, reduce muscles soreness and fatigue and overall recovery. To achieve this, you will need to refuel with high protein and some carbs. Protein consists of amino acids, which build muscle and help with recovery. Our muscle breaks down during a workout and needs to be rebuilt with protein. 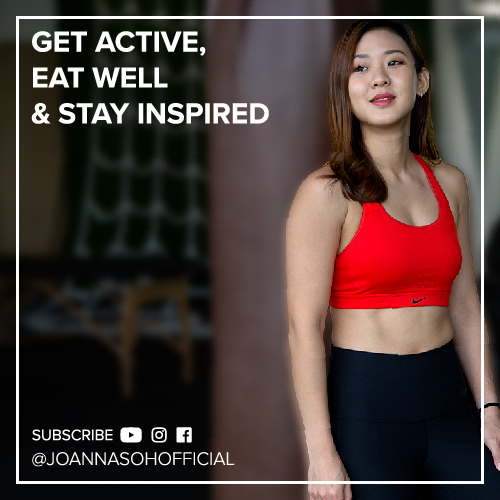 For these reasons, we are encouraged to consume our post-workout meal within 30-60 minutes right after a workout session. This is when your body is most ready to accept protein and carbs and to use these nutrients to repair, recover and build. I like to schedule my big meal after a workout, for instance I like to workout mid morning and have my lunch straight after. Knowing that this is not always possible for all of us, I’ll be sharing both Post-Workout Snacks and Meals that you can have. Your body is in recovery mode, so you need a nutrient dense dish. The lean protein in chicken will fill you up without feeling overly bloated. Veggies are high in fiber, which will keep you satisfied without overeating. Again eggs are an easy source of protein, light on your body but keep you feeling full. This is a great choice for vegetarian. Let’s move on some quick & light post workout snacks. What I have here are tuna chunks and red pepper hummus with crackers. Tuna is very low in calories, but high in protein. 100g of tuna only contains 99cals and it has 23.5g of Protein. Hummus is a great option for Vegan to fulfill your protein requirement. You can have either tuna or hummus or both with crackers and you can even make a sandwich and pack it out with you. No cooking required at all, so this is really convenient. Chocolate lovers, this is for you. Recent research has shown that chocolate milk is the latest craze in post-workout snacks, even over water and sports drinks. That's because it has everything you need in one glass: carbs to regain energy, protein for muscle recovery and water content to replace lost fluid from exercising. So chocolate lovers, after a workout is the prefect time to indulge in a cup of hot chocolate milk! The easier and most convenient way to refuel your body with protein is by drink protein shakes. Each scoop of protein powder has an average of 24g of protein. You can choose to mix one scoop with water or milk for extra carbs and protein. If you are a male and much bigger in size, then go for 2 scoops. Another liquid based post workout snack is to make a green smoothie. It’s delicious, filling, convenient and help to replenish lost fluids from exercising. You can watch my “Reduce Bloating: 3-Day Detox” video to learn to make a delicious and healthy Green Smoothie. A quick store bought post workout fix is to consume protein bar. Just make sure to watch out for the sugar content. Look for bars, with 10-30 grams of protein, less than 10 grams of sugar, and the fewest number of ingredients you can’t pronounce! So, these are just some examples of post-workout meals and snacks, if you find that the portion is too small, you can always add a side of veggies, rice, couscous, quinoa, vegetable soup, baked potato etc. Adjust the portions according to your personal requirement. Most of these meals can be prep before hand for convenience. If you have never given much thought in regards to your pre and post workout snacks before this, try it out because they will make a significant difference to your workout performance and results. As a basic guideline, just remember to fuel with carbs prior to your workout for energy and refuel with protein after your workout for recovery. The more basic your foods are, the best they will be for your body. As long as you aim to consume to whole food and real food, you will be on the right track to optimize performance and result. And always remember to stay hydrated before, during and after your workout. Always have a bottle of water with you at all time. All the best!